Air conditioning systems are a significant investment, so it’s important to get it right the first time – doing so will provide you with comfort for years to come. There are many things to consider when purchasing an air conditioning system and each of your options is suited to a specific application. For example you might need a ducted air conditioning system for light commercial or domestic applications, or perhaps you need to incorporate a split system air conditioner into a new or existing home. Choosing the right solution is challenging and it requires knowledge and experience to get it right. If you’ve been searching online for, Air Conditioning Sunshine Coast, Sunshine Coast Air Conditioning or Air Con Sunshine Coast, then you’ve found the right team to help you! Crown Power is a leading Sunshine Coast air conditioning company and with more than 4000 air conditioning installations completed and a reputation built on trust, we’re the perfect choice for all your air conditioning needs. Whatever your requirements may be, Crown Power Air Conditioning Sunshine Coast can help. We offer end-to- end air conditioning solutions for both commercial and residential clients. Our team can cater to those who need high quality Sunshine Coast air conditioning installation services and advice, as well as those who require retrofitting in existing homes, or new units built into new home designs. To help ensure that you get the perfect solution to your Sunshine Coast air conditioning needs, we provide a complete service, beginning with an assessment of your needs through a thorough inspection of your premises. We will make sure that the right unit is chosen from our range of market-leading brands and we will install the unit with unrivalled quality and attention to detail, so as to ensure that your needs are fully catered for and there is no doubt left in your mind that you have received the very best possible service and equipment. We further provide a complete after sales service and maintenance plan to keep your air conditioner running at its best. The Sunshine Coast region is subject to hot temperatures and high humidity – two factors that can leave your home feeling very uncomfortable without the right air conditioning solution. Being a locally owned and operated business, our Crown Power Air Conditioning Sunshine Coast technicians are familiar with the demands placed on any air conditioning system by the climate of South-East Queensland and we take this into account when undertaking all of our jobs. In fact, we consider climatic factors in every stage of our process; beginning with air conditioner selection, as choosing a unit that suits your needs is vital. We select and install air conditioners in the Sunshine Coast region in a manner that guarantees you economical and efficient air conditioning that will have minimal impact on your power bill compared to poorly selected or installed units. Your comfort and satisfaction is guaranteed! The Crown Power Air Con Sunshine Coast team is backed by expertise, skill and experience – we have successfully installed over 4,000 air conditioning systems across South East Queensland. Our extensive experience allows us to provide highly effective air conditioning solutions for both residential and commercial clients throughout the Sunshine Coast region. We know what it takes to bring you the best in air conditioning, so if you are looking for an effective air conditioning solution, contact us today for a no obligation consultation. Our team at Crown Power Air Conditioning Sunshine Coast understand that trust is a fundamental part of success and we strive to ensure that you can trust us with your air conditioning investment, as well as your home or business during the installation. We aim to demonstrate to you, through initial consultations, that we will earn your trust; achieving the best outcome for you is our business and we take it very seriously. As a testament to our dedication to you, we have developed a process centred on your needs, to bring you the best in air conditioning solutions – your satisfaction is our priority. We encourage you to contact us today, through our website or over the phone, if you are looking for advice or information with regard to air conditioning Sunshine Coast solutions. 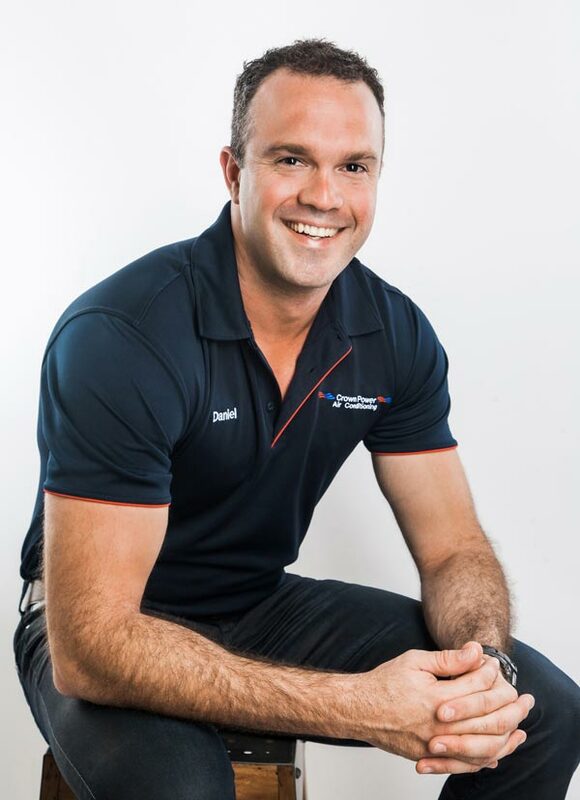 Our team of qualified Sunshine Coast air conditioning experts will happily run you through some of the options that might be available and how you might go about taking the next step. If you feel as though you would like to discuss things further, you can organise an obligation-free consultation with one of our specialists – these can be arranged through our online contact form. 1/ Discuss your needs with the Sunshine Coast air conditioning experts! Our extensive industry experience has highlighted the importance of ascertaining each customer’s individual air conditioning needs – most of our clients have a unique set of requirements and this is something that we understand. To ensure that we are aware of all your needs and requirements, we like to discuss your situation with you during a no obligation consultation. 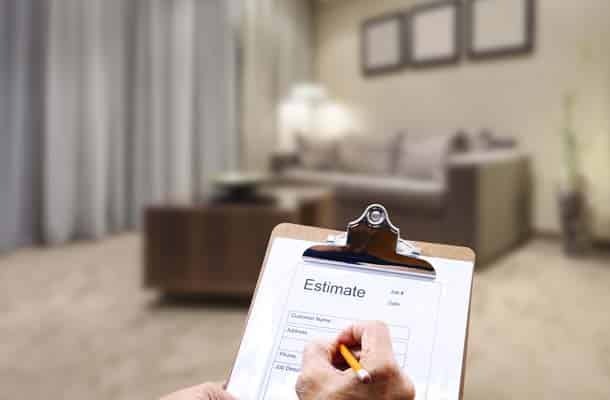 We recommend on-site consultations, as this allows us to thoroughly assess the factors that could impact the selection or installation of your air conditioning system. These factors can include the suitability of your incoming electrical mains; the internal and external structure of your home or premises; the aspect of the sun; and the materials from which your home is constructed. These factors, along with your predicted air conditioner usage, will determine the type of air conditioner that you choose – such as ducted or split system, Multi head or Ceiling cassette. Furthermore, we will discuss the ideal position of your indoor and outdoor units, as well as the corresponding pipe runs and drainage. Our Sunshine Coast air conditioning consultants can meet you after hours, so as to ensure that you have time to receive clarification on any points of confusion, in an environment free from pressure. Our aim during consultations is to provide you with all the information necessary to make an informed decision. Following the assessment of your home, we will present you with a recommendation; this could be a simple verbal explanation for simple, single-room system, or a detailed layout for integrated seamless ducted systems. We will then provide you with a quote for the work and this will include some optional extras such as smart phone control, or gecko treatment. Within the quote, we will confirm your five-year ‘peace of mind’ warranty and the Crown Power Sunshine Coast Air Conditioning payment terms. For your benefit we ensure that our quote is firm, to guarantee that you are not confronted with any hidden extra costs at a later date. Once you have accepted the quote and recommendations that were presented to you, we will arrange a time that is convenient for you, on which to complete the installation of your new air conditioning Sunshine Coast system – we always commence the installation on the agreed date – provided no exceptional circumstances arise. We are dedicated to making this process as convenient as possible for you. We strive to maintain the highest standard of cleanliness throughout the installation; we lay drop sheets before work begins and conduct a thorough clean following the installation. We do, however, suggest that you cover any sensitive items of furniture prior to the installation as a precaution. We will install your Sunshine Coast air conditioning system to the highest possible standard of quality and our qualified and licensed professionals undertake every installation in accordance with Australian standards. 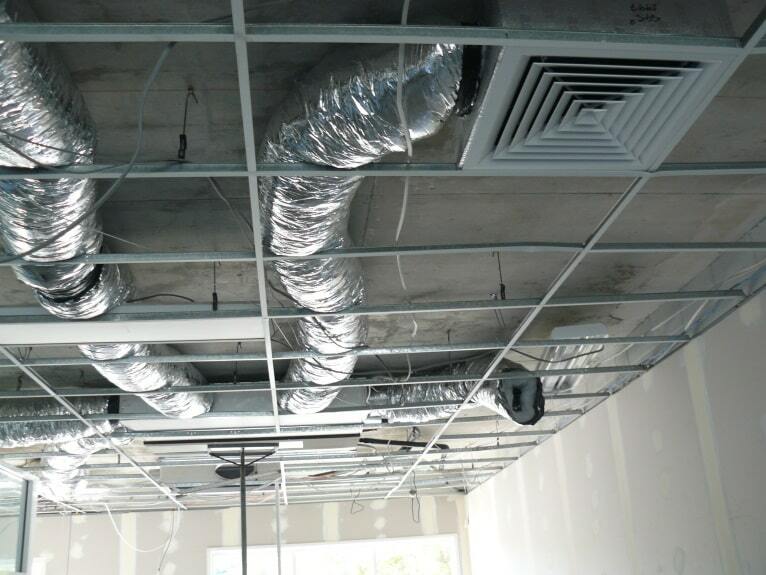 For more information on our installation of ducted systems, please see our Sunshine Coast ducted air conditioning page and for further details of our split systems, please see our Sunshine Coast air conditioners page. At Crown Power Air Conditioning Sunshine Coast, we’re committed to supporting you well after your air conditioning system has been installed. We offer air conditioner maintenance services and ongoing customer service in case any issues arise with your air conditioning unit. We also provide a five-year ‘peace of mind’ warranty on all of our installations. 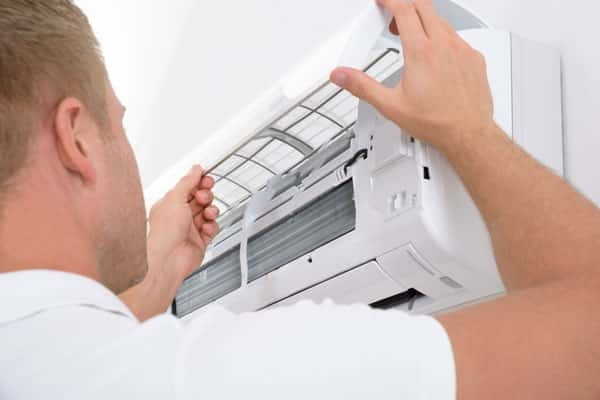 Your warranty will cover the cost of all parts and labour necessary to repair any fault in your air conditioning system that is not a consequence of misuse. The warranty will take effect following the finalisation of your payment. If you are seeking the perfect air conditioning solution for your home or business, take the first step today and contact us. You can call us to speak directly to one of our Sunshine Coast air conditioning experts or alternatively, you can contact us through our website to make an enquiry or even arrange a consultation. #1 What range of brands do you offer and what ratings do these brands have? Here at Crown Power Air Conditioning Sunshine Coast, we offer only the highest quality brands, so as to deliver the best possible results for our clients. 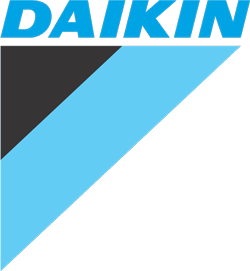 Our range of industry leading products includes internationally acclaimed Daikin air conditioning systems. In addition to this, all brands that we offer provide products of the highest ratings so you can be guaranteed that our air conditioning systems are of unrivalled quality. #2 How do I choose the right air conditioner for my Sunshine Coast home? Every home is different and as such, choosing the right air conditioner can be challenging. Because of this, we are available to help you through the selection process and we account for factors such as room size, ceiling height, window size, sunlight, and internal or external structure – including the materials from which your home is constructed. #3 Why should I choose Crown Power Sunshine Coast? Here at Crown Power Air Conditioning Sunshine Coast, we have a team of dedicated experts who take their job very seriously. We have successfully installed over 4,000 air conditioning units across South East QLD including the Sunshine Coast in both residential and commercial premises. All of our work is centred on our clients’ needs and requirements, so we’re all about your satisfaction. Our experience and knowledge is unrivalled and all work is undertaken in accordance with Australian standards by our licensed and qualified Sunshine Coast air con technicians who will complete every job to the highest standard of quality. #4 What areas do you service around the Sunshine Coast? We offer our services throughout South East Queensland including the Sunshine Coast and the surrounding hinterland. Essentially, we cover from Yatala to Coolum and provide the best air conditioning solutions throughout these areas. If you’re local to the Sunshine Coast or the surrounding area, simply give us a call and we would be happy to offer a site visit and detailed air conditioning needs assessment from our Sunshine Coast office. #5 What makes your air conditioning services the best on the Sunshine Coast? 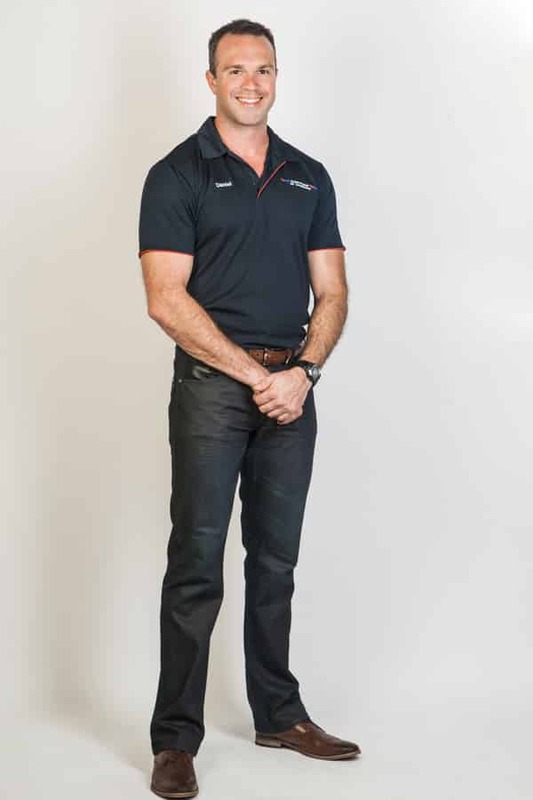 At Crown Power Air Conditioning Sunshine Coast, our focus is solely on our clients. We strive to bring you the perfect air conditioning solution and our process is centred on your needs and requirements. We have the experience of installing over 4,000 units throughout South East Queensland and all of our operators are full licensed and qualified to undertake commercial and residential installations. We will help you select a unit that is efficient and will minimise the money you spend on your power bill, whilst still operating at its best. Our team consists of dedicated professionals who endeavour to earn your trust and bring you the best results.